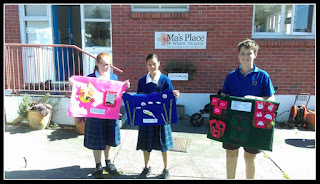 The tactile mats made by the St. Joseph Vinnies last year have now been finished. 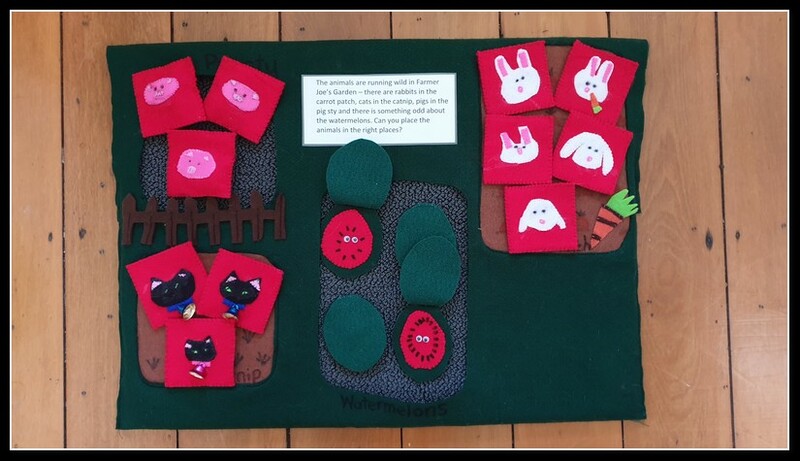 These mats were donated to Ma's Place and will be used by the preschool children of the families Ma's Place caters for. 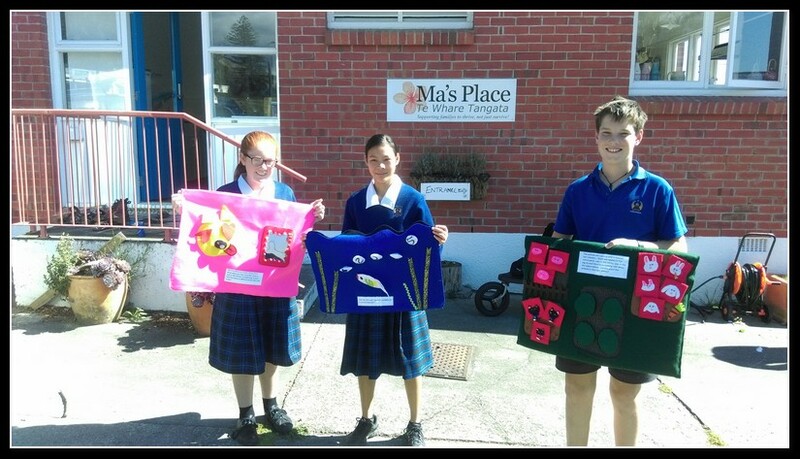 Well done to all those who were involved in creating these mats and to the Garin College Vinnies who dropped these mats off. 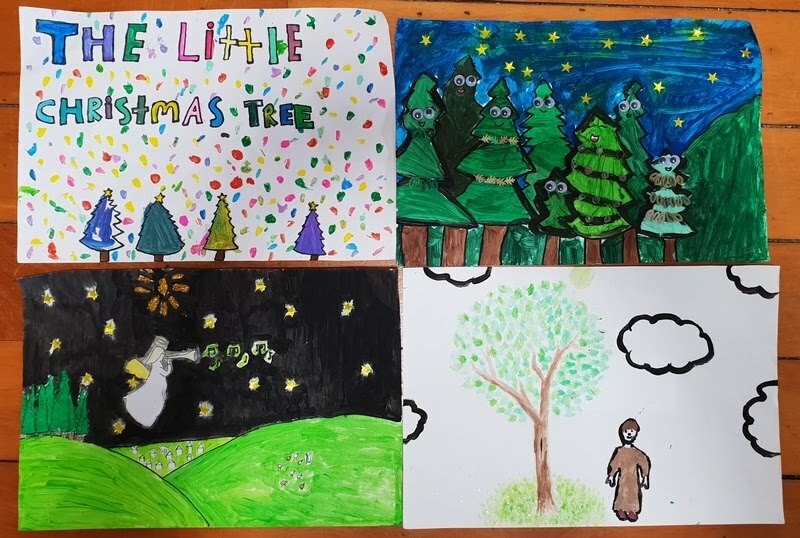 After being approached last year as to whether the Vinnies could put something together to assist residents in resthomes to celebrate Christmas, the Vinnies at St. Paul's and St. Joseph's began work based around the story of The Little Christmas Tree which tells the story of Jesus. 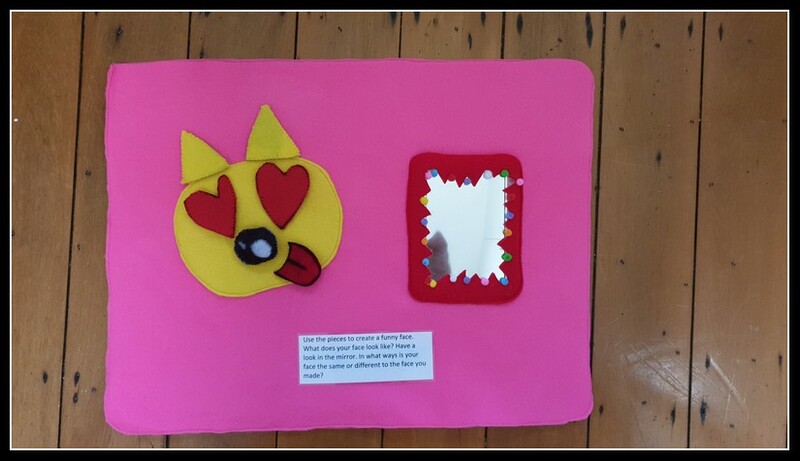 Unfortunately with so much happening for the students in Term 4 we didn't have the opportunity to finish off this project. However with the nature of the story, this will be a useful resource for Easter instead. In the meantime here is a sneak peek of some of the artwork that has gone into the retelling of this story. 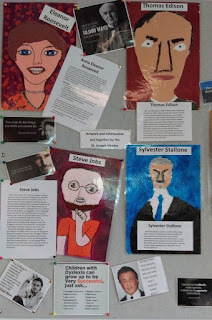 The Vinnies Dyslexia Awareness Display which was up at the Elma Turner Library in Nelson to coincide with Dyslexia Awareness Week during the first week of October last year has developed national interest. 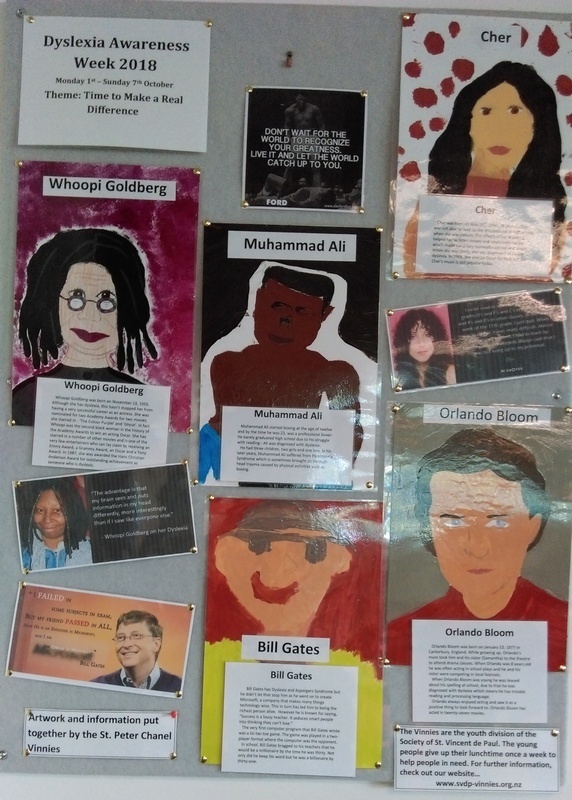 SPELD New Zealand are keen to use the Vinnies work to promote Dyslexia Awareness Week throughout the country. 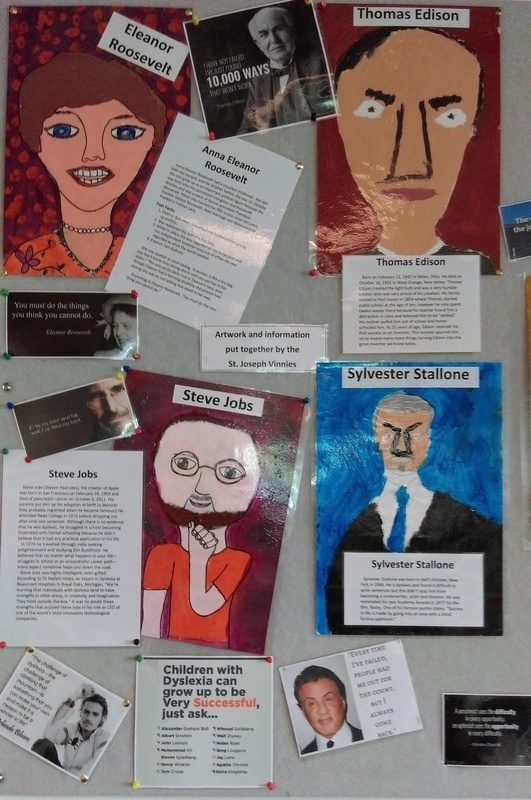 The Vinnies work that has since been donated to SPELD, a non-profit orgranisation that works with students who have specific learning disabilities has been delivered to their head office in Auckland where it will be photographed and turned into posters for this use. 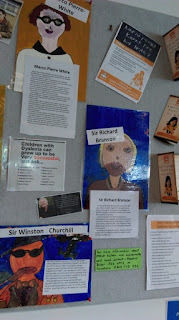 It's great to see our young Vinnies making such a positive difference not only locally but on a national scale as well. 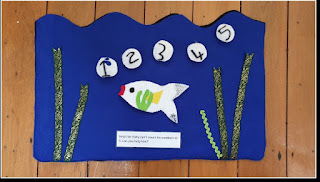 “Just a quick email to say that I think your display looks fantastic and that it has been receiving a lot of interest”. 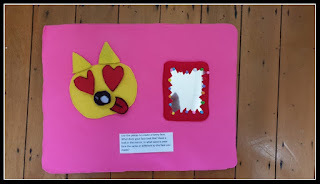 “ I popped in to the library in Nelson yesterday and saw your display. It looks wonderful. 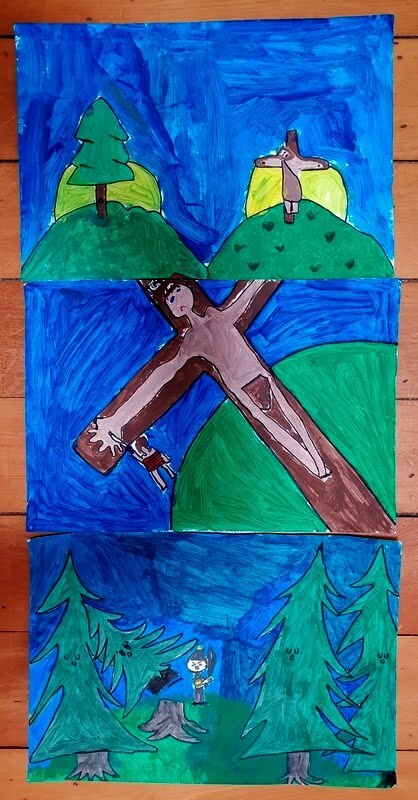 The children’s artwork, like last time, is amazing. So well done. The whole display looks fantastic. Thank you for doing it”. “Your library display looks fantastic. 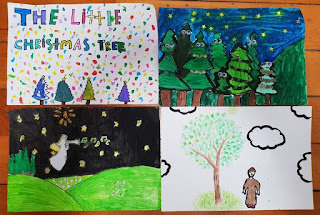 A wonderful effort”. 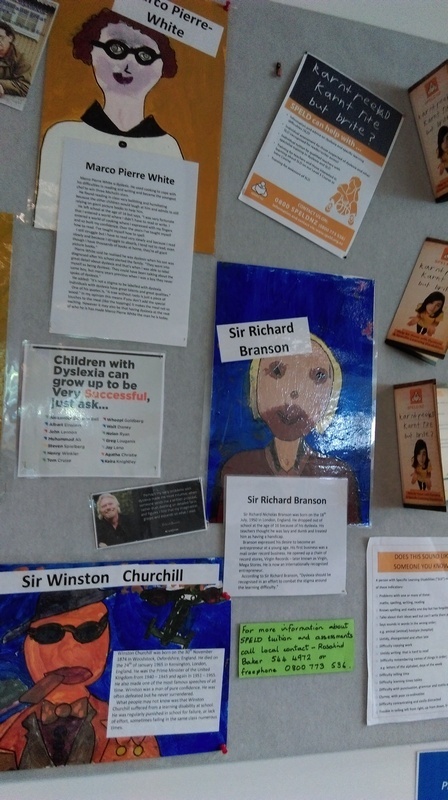 From 26 September - 17 October artwork and information about famous people with dyslexia will be up on display in the children's section of the Elma Turner Library in Nelson as part of Dyslexia Awareness Week which takes place the first week of October. This display is put together as a combined effort by the St. Joseph and St. Peter Chanel Vinnies. We hope that it will raise the awareness of the wider community as to just what people with dyslexia are able to achieve given the right help and support. 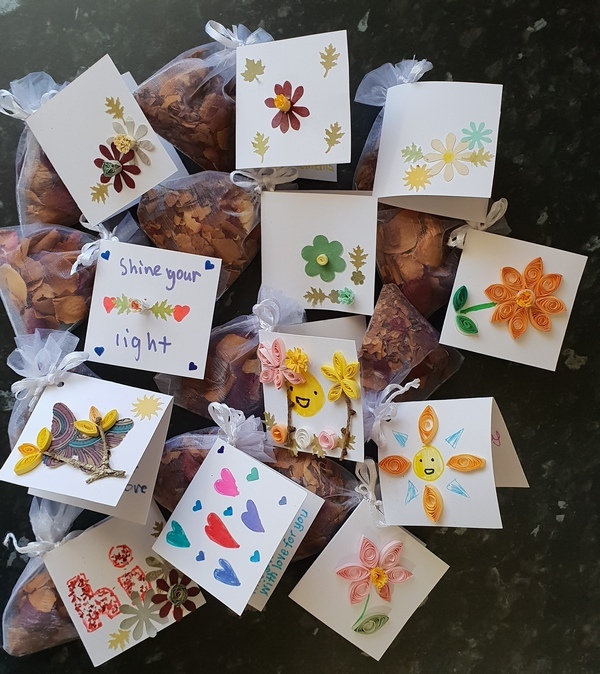 To end off Term 3 the St. Joseph Vinnies have been creating small bags of potpourri and little cards to go with them which will be distributed to residents of a local rest home. Creating such bags was an activity that got underway last year and met with such a positive response that it has become an activity that has been revisited a couple of times since. According to the rest home these went to, this small gift made a huge difference particularly for one of the ladies. The lady who was finding it difficult to adjust to being in a resthome, now carries the lavender bag around with her and sleeps each night with it under her pillow. We hope these gifts will equally bless those they will be going to. 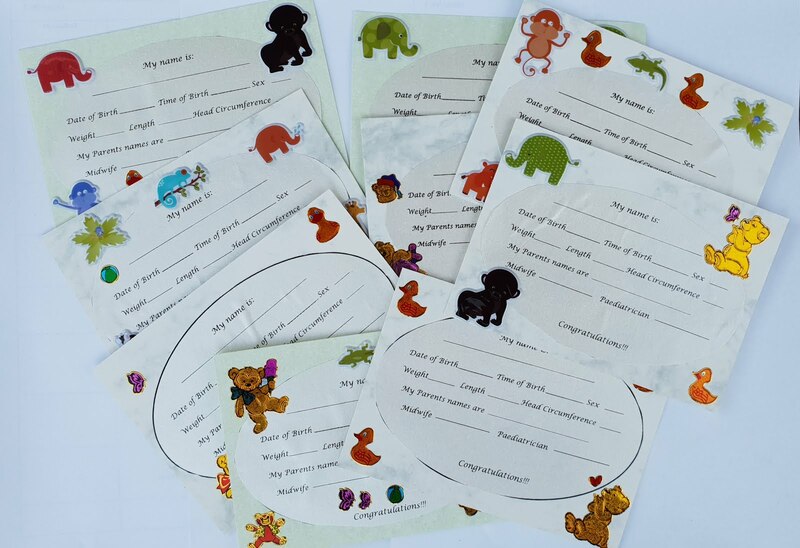 If there is one thing mothers often treasure amongst the keepsakes of their baby's arrival it is the name cards that are attached to the baby's cot in the hospital. Not only do these cards serve a very practical purpose in identifying babies but also further down the track act as a reminder of just how far the baby has come from those very early vulnerable days under the care of the Special Care Baby Unit. It is therefore an absolute privilege as Vinnies to be involved in the making of these cards. We hope they will bless the mothers and babies they go to.